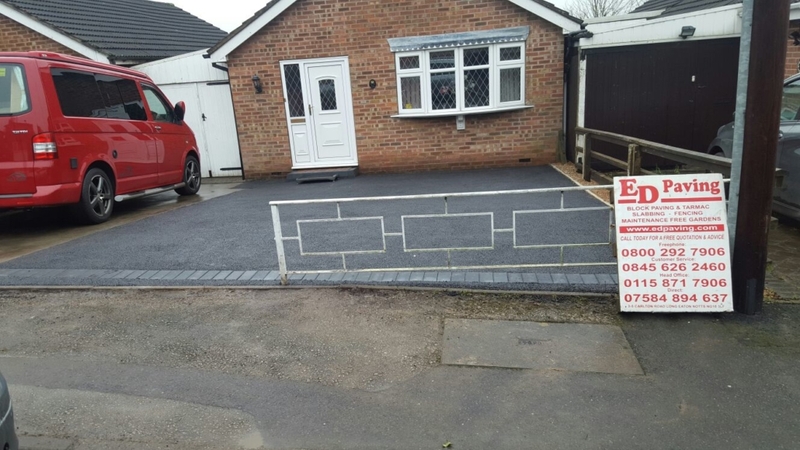 Mr Flowers wanted to enlarge his driveway by removing the shrubbery and updating it with a new low maintenance tarmac driveway. 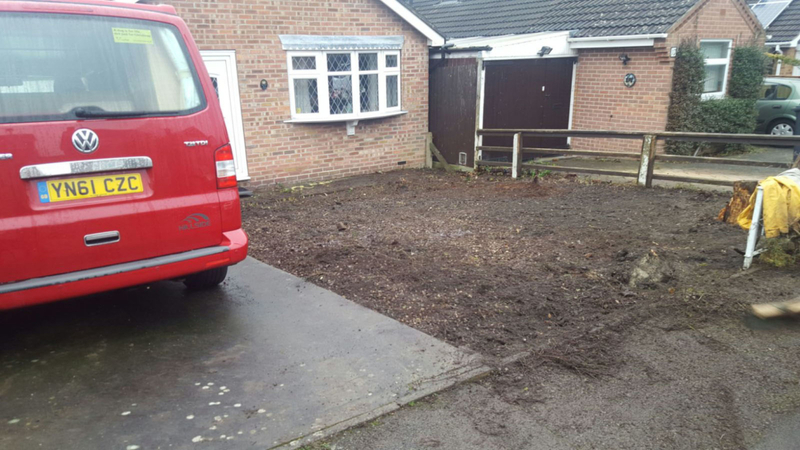 The project involved the removal of the shrubs and soil to a suitable depth. Once this had been excavated we laid a suitable permeable membrane. This was very important and is laid to prevent any weeds penetrating the driveway and preventing any movement of the MOT sub-base into the soil below. The next job was to install the edge blocks, acting as a retainer for the tarmac. 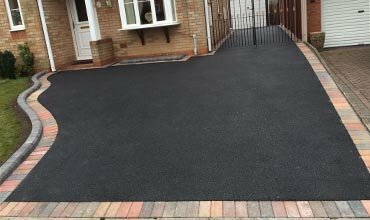 The remainder of the drive was completed with SMA Pro Drive Tarmac.